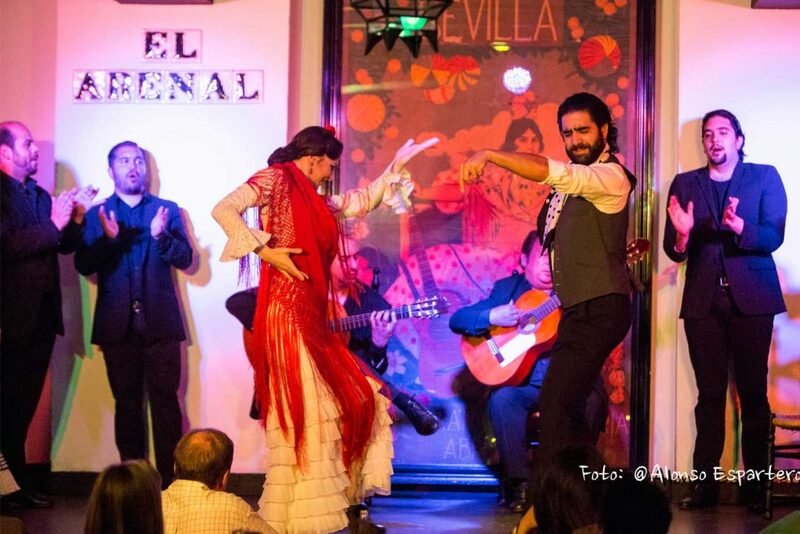 The Best Flamenco Shows to see in Seville! A Complete List of Flamenco! When you hear people talk about flamenco, you will often hear the word duende thrown about. This is a word with no exact translation, but what they are referring to is the spirit of the performance; the passion on display. No one knows for sure where flamenco was born, but it was certainly in southern Spain, between Seville, Cadíz and Granada. 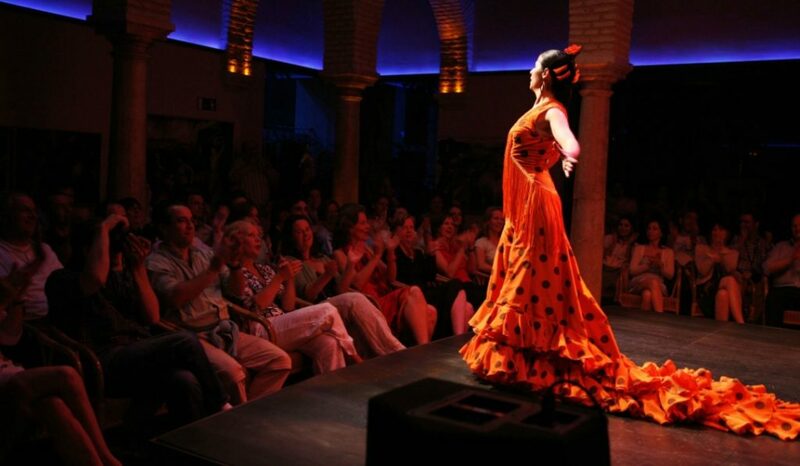 Seville however is the most important pillar nowadays to see some of the best flamenco in the world. 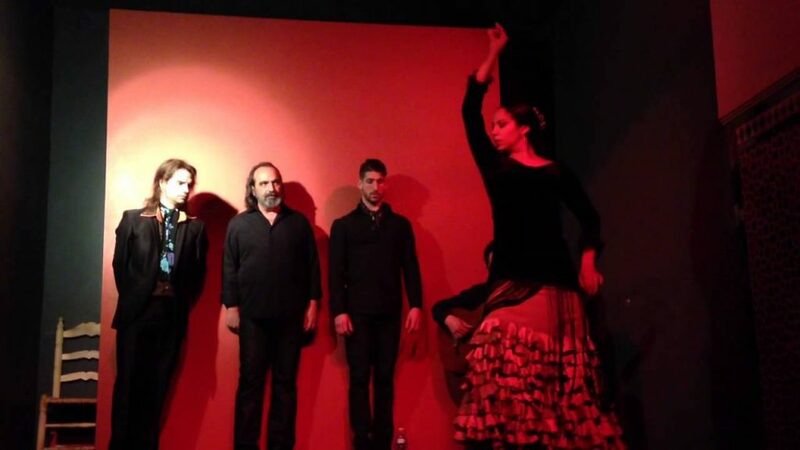 What follows are, in our opinion, the twelve best places to watch flamenco in Seville. Flamenco developed as a way for the gypsies to express the sadness of their downtrodden lives. As such, many of the first flamenco performances happen in bars as these passionate souls got to talking about their dejection but found words not enough to express their woe. It is for this reason that I say some of the most authentic, and therefore best, places to watch flamenco in Seville are in these bars. One of the best laid out of these bars is El Patio Sevillano. You’ll need to arrive early for front row seats as it’s first come first serve. But regardless of where you sit, you’ll see plenty and it is a very complete show with lots of artists doing both flamenco and clásico español with castagnettes. El Patio, along with most other tablaos in Seville are better if you want a whole evening out rather than just a flamenco show. Duende is a word referring to the spirit of the dance, how much the performance touches those watching. Auditorio Alvarez Quintero may just be your standard Tabloa (bar) with tapas on offer, but the dancers are professional and soul touching. 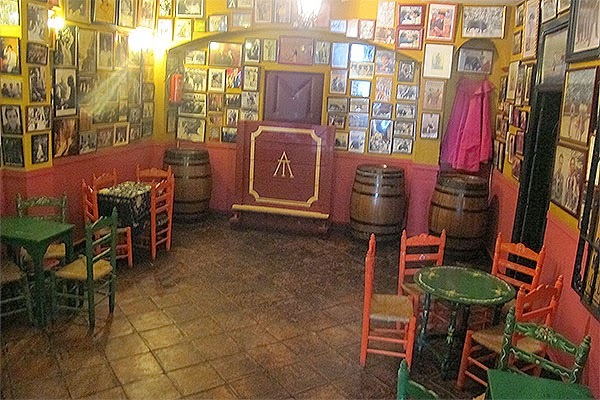 As with all the best places to watch flamenco in Seville, you will find an abundance of duende here! Flamenco is at its best in a no thrills show, when the dancing does the talking without any need for gimmicks. All that is needed to provide and excellent show is for passion and skill to come together. There are some nice group dances as well, and a broad selection of upcoming dancers, supported by long revered singers and guitarists. 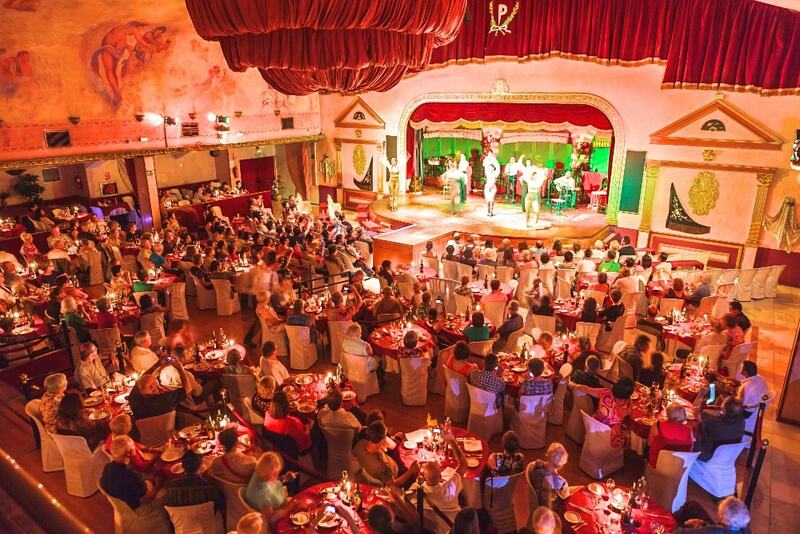 This combined with the good service and decent food make this one of the best places to watch flamenco in Seville. It should be noted, however, that the large size of this venue can make the dances not very personable, this is the main reason why it’s not higher up on the list. Good food, attentive service, passionate dancing. A perfect combination, right!? Next to the bull ring, this centrally located bar will give you all of that without having to walk too far! The show hear ranges from sultry to dramatic to sensual to heartbreaking. This spellbinding show deserves its place in our countdown of the best places to watch flamenco in Seville. The only downside here, is that the performers can sometimes feel a little far away. Unlike many of the others on our list, this is not a bar, but an unconventional museum. Not only does this make it a unique tablao setting for shows, but also the perfect place to come to learn more about the art form. 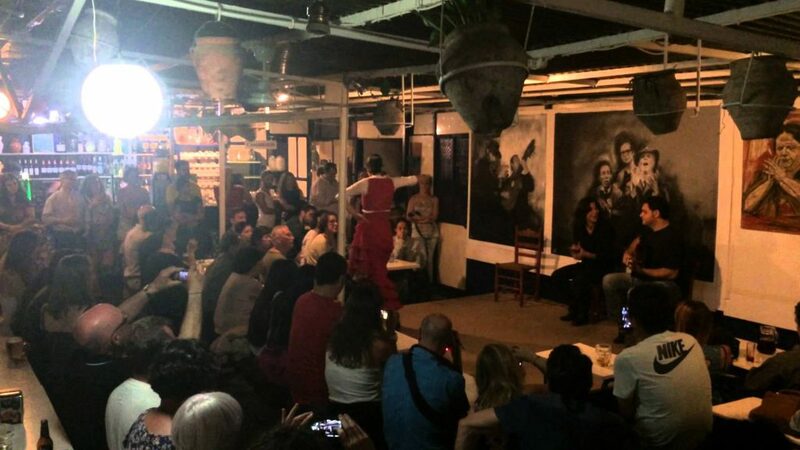 Museo del Baile Flamenco is one of most famous flamenco places in Seville, and as such draws quite large crowds. But the emotionally moving and visually stunning show feels no less intimate. 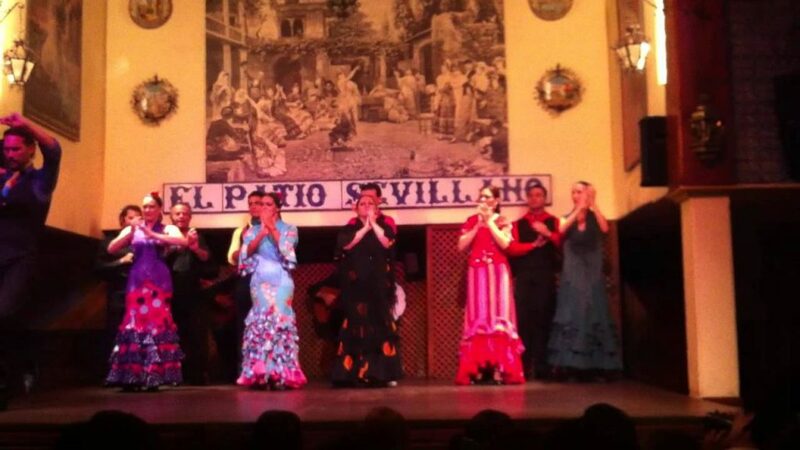 This is without doubt one of the best places to watch flamenco in Seville. This is another show held away from the traditional bar, this time in a small theatre. What this loses in authenticity it makes up for in intimacy as the dancers have everyone’s full attention. There is no background noise because everyone has come purely to see the flamenco. 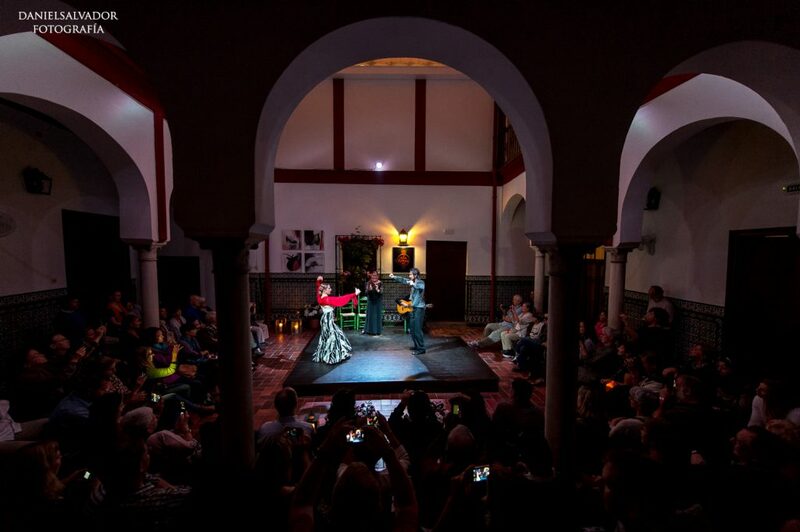 This concentration and intimacy make Casa de la Guitarra one of the best places to watch flamenco in Seville. This is the real deal. A hot, crowded bar with three shows a night. The entrance is free, you simply buy a drink and take a seat at the long tables. The roar of conversation is quashed by venerate silence as the dancing starts and all eyes turn to that corner of the room. Very few places can offer this level of authenticity. 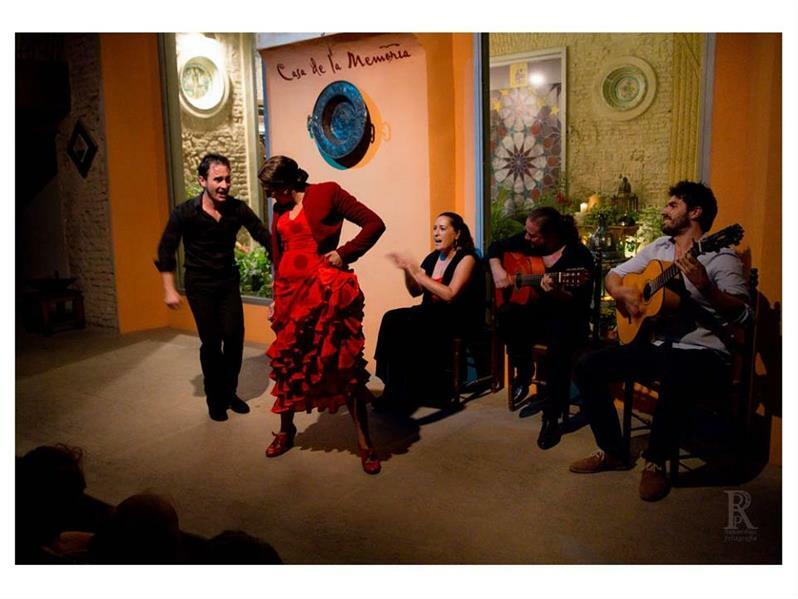 Although it is far from the most comfortable settings to watch flamenco, this place is nevertheless one of the best places to watch flamenco in Seville because of its passionate atmosphere and dedication to authenticity. There can be few better settings than this! Hidden in a building off of Plaza Santa Cruz, serenity will overcome you as you walk across one of the most tranquil plazas in the city before enteing the building for the intimate show. The friendly staff are happy to answer any questions you have and the small venue makes duende almost tangible. This is most definitely one of the best places to watch flamenco in Seville. This is a medium sized venue, but still one of the larger ones on our list. The larger the venue the harder it is to create an intimate atmosphere, but Casa de la Memoria manage to put on soul touching performances every night. Their passion will overcome you during what is considered, among the flamenco artists themselves, the best nightly show in the city. 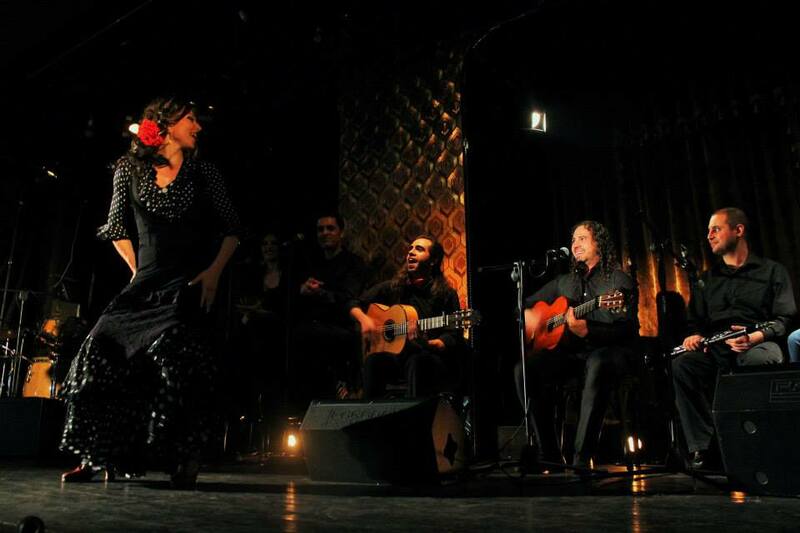 It therefore deserves its lofty seat as on of the best places to watch flamenco in Seville. Triana is the old gypsy neighbourhood of Seville, meaning that if flamenco really was born in Seville it was more than likely born across the river in Triana. For this reason, we believe Triana to be the best place to go to experience the traditional improvised flamenco. Sometimes there’s no full on show, just flamenco aficionados, spending their night out sharing flamenco. Not necessarily any dancing. Just singer and guitarist, and lots of people sharing two or three simple flamenco moves while having a drink. Nothing is more authentic than this quaint little bar. Although they don’t have shows everyday, when they do it’s fantastic. A small bar centered around the performers. 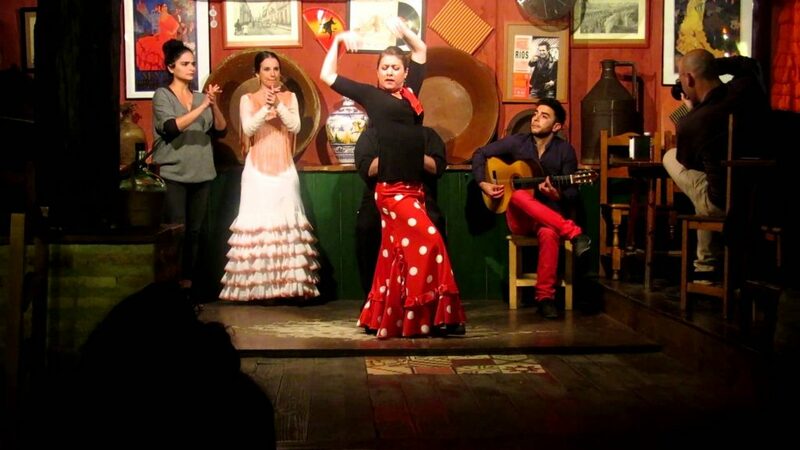 This is without doubt one of the best places to experience party-style flamenco in Seville. Flamenco at its best is a truly captivating art form, the rhythm of the feet pounding like pneumatic drills is almost hypnotic as the graceful upper body entrances you. This is what you’ll experience in Casa de Flamenco as you listen to the singer’s voice cracking with sadness at the thought of their downtrodden life. The melody flies in perfect harmony with guitar so soulful it could make you cry. 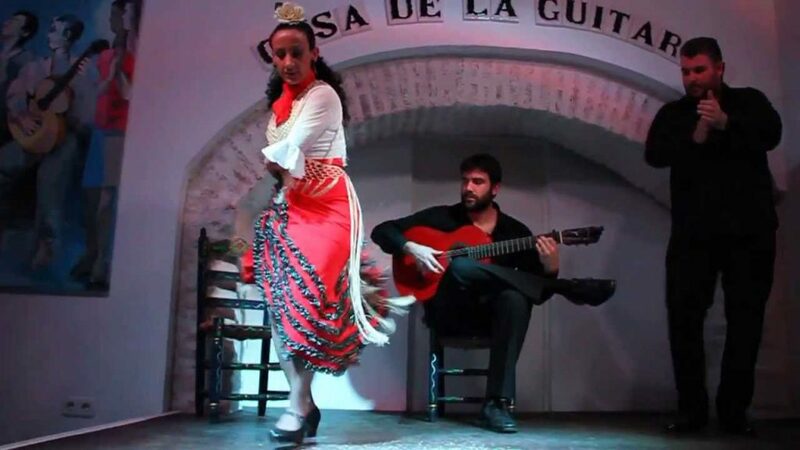 A performance at Casa de Flamenco has it all, quite possibly the best every day show in all of the city, certainly worthy of its place in our countdown of the best places to watch flamenco in Seville. flamenco with you as if you were in their own family. All of this before heading to T de Triana where they will dance for you in one of the most intimate settings in the whole city. They really take pride in being the smallest venue in Seville. 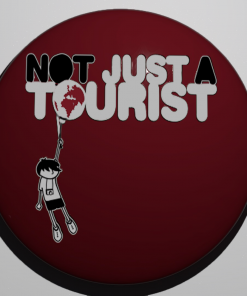 Despite being small, they offer the same high class artistry as Casa de la Memoria or Casa del Flamenco. It really is a one of a kind experience.  If it sounds like something you’d enjoy, then head to our website and we’ll delight in helping you organise it. 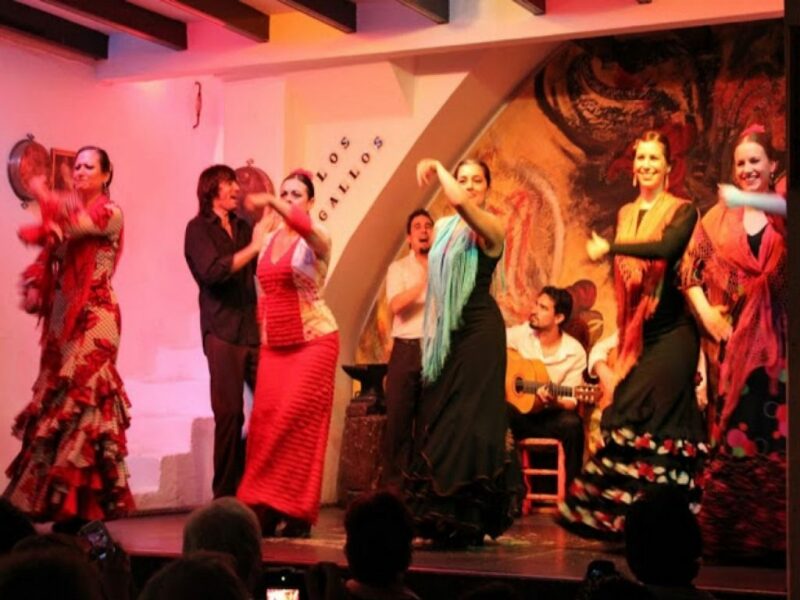 Seville is the heartland of flamenco and as such is the best place to see it in all of Spain! 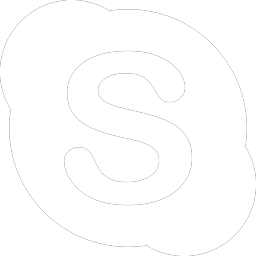 We hope that this countdown has given you some ideas of where to check it out and what kinds of shows are available. 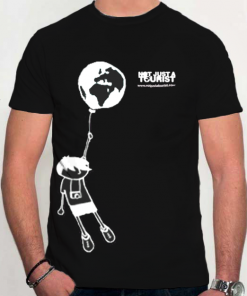 If you’re in search of something a bit more hands on, then we’ve got you covered! 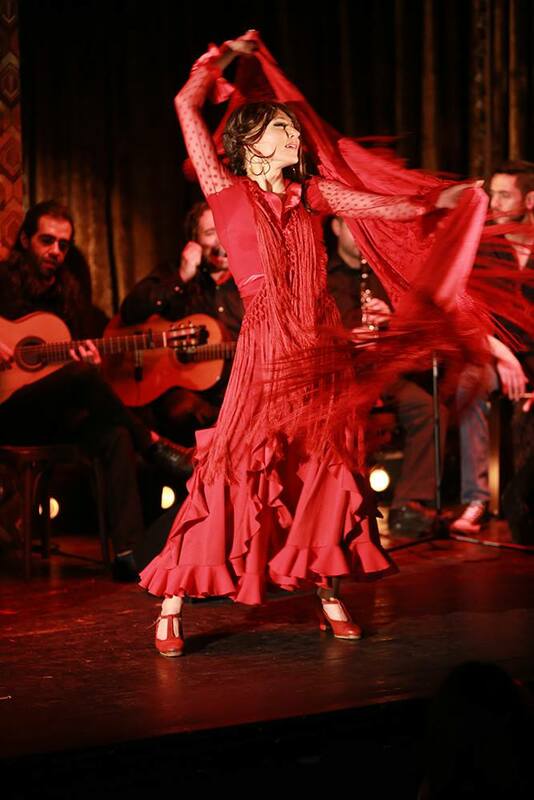 Why not come and join our Flamenco Dance Lesson and learn how to move like that for yourself? Or, if, like yours truly, you feel you lack the coordination to make a success of trying to dance, join our Flamenco Box Lesson to learn the art of flamenco percussion, the cornerstone from which the music and dancing are built on.